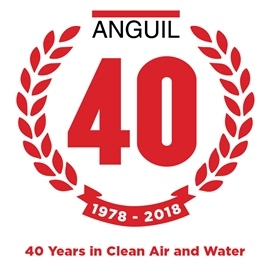 Anguil Environmental Systems will be celebrating its 40th anniversary on Aug. 12, 2018, with a party in downtown Milwaukee. Starting an environmental company in the late 1970s was not nearly as well received as it would be today, but Gene Anguil, the company's founder, persevered, and four decades later, Anguil is recognized as a worldwide leader of industrial air pollution control and wastewater treatment technologies. The anniversary party will draw approximately 400 attendees from across the United States, Asia, and Europe and will be one of the first events in the new wing at Discovery World overlooking Lake Michigan, according to the company. Guests will consist of current and former employees, as well as partners, key suppliers, sales representatives, and close family friends. "It's important that we recognize the people and companies that helped us get where we are today," said Gene Anguil. 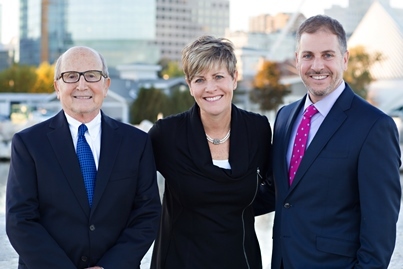 "While my wife was our first, and arguably most important employee, there were also a lot of other vital contributors to our success." The event will include a multimedia presentation focused on Anguil's "Recipe for Success": Vision, Expertise, Leadership, Employees, Resilience, Fun, Community, and Family. Dinner and dancing will follow a series of speeches by key Anguil personnel. "August 12th also happens to be Gene's 80th birthday, so there may be some surprises," said Chris Anguil, the founder's son and president of the company.